Book a 1 hour service, I will send you a profile to help me understand what is important to you, then you will either come to the studio or I will come to your home for a personal styling experience, where I will have a collection just for you. All pieces in your collection are like-new second hand, so there is no carbon footprint, and you only buy what you love! This experience is for everyone, including the kids because they are growing all of the time, and definitely have opinions about how they dress. If you want a grown-up experience and need to bring your kiddo - no worries! We have a play area for the kids, and children are always welcome in the studio. Please note that if you are in need of an elevator, the Thorp building has a two person freight elevator, so I will come and meet you when you arrive. To hold your spot, a $60 styling fee is required — Please make your appointment at least 1 week out to give me time to curate the perfect collection for you. 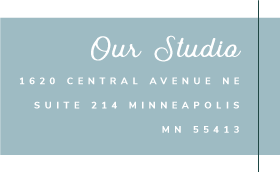 If you opt for the in-studio appointment $20 of the styling fee will come back to you as a clothing credit when you arrive. Once you book your appointment I will send you a style profile to fill out and a form to schedule your appointment! Once I have a clear understanding of your personal style and sizes, I will start building a one of a kind collection of thrifted finds just for you! You will either come to the studio and your collection will be laid out for you ready to try on, or I will bring it to you in the comfort of your own home.